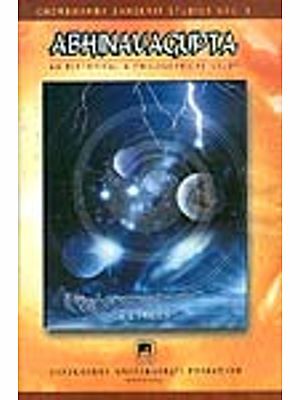 Abhinavagupta propound his Aesthetic philosophy in light of his Tantric philosophy. Tantrism is non-dualistic as it holds the existence of one Reality, the Consciousness. This one Reality, the Consciousness, is manifesting itself in the various forms of knower and known. According to Tantrism the whole process of creation and dissolution occurs within the nature of consciousness. In the same way he has propounded 'Rasadvaita darsana' the Non-dualistic philosophy of Aesthetics. The Rasa, the aesthetic experience, lies in the consciousness, is experienced by the consciousness, and in a way, it itself is experiencing state of consciousness. As in Tantric metaphysics, one Tattva, Siva, manifests itself in the forms of other Tattvas, so the one Rasa, the Santa, assumes the forms of other Rasas, the Santa, assumes the forms of other Rasas and finally dissolves in itself. 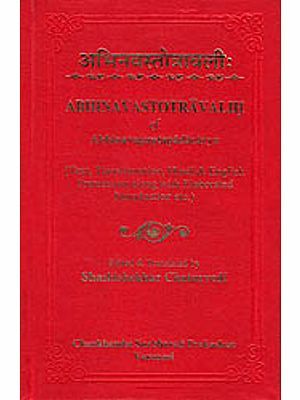 The present book traces and explains the connecting points, the running threads, between Abhinavagupta's Tantric philosophy o Reality and Aesthic Philosophy logically, philosophically and critically. 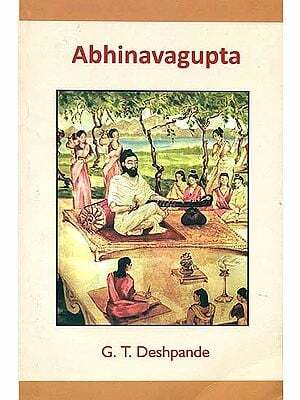 It can not be said categorically that Abhinavagupta propounded his aesthetic theories to support or to prove his Tantric philosophy but it can be said definitely that he expounded his aesthetic philosophy in light of his Tantric philosophy. Tantrism is non-dualistic as it holds the existence of one Reality, the Consciousness. This one of knower and known. According to Tantrism the whole world of manifestation is manifesting out of itself (consciousness) and is manifesting in itself. The whole process of creation and dissolution occurs within the nature of consciousness. In the same way he has propounded Rasadvaita Darsana, the Non-dualistic philosophy of Aesthetics. The Rasa, the aesthetic experience, lies in the consciousness, is experienced by the consciousness and in a way it itself is experiencing state of consciousness. 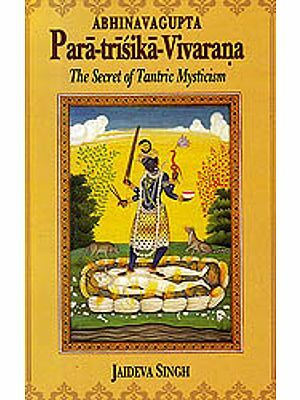 As in Tantric metaphysics, one Tattva, Siva, manifests itself in the forms of other Tattvas, so the one Rasa, the Santa rasa, assumes the forms of other rasas and finally dissolves in itself. Tantrism is Absolute idealism in its world-view and epistemology. It refutes the Realistic and dualistic theories of reality and epistemology. 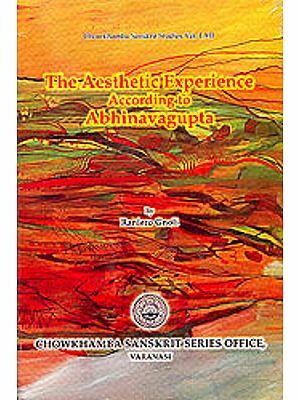 Abhinavagupta too has refuted the realistic and dualistic theories of Aesthetics. And he did it in light of his Tantric philosophy. 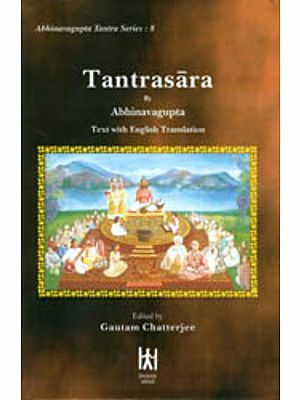 Therefore, it was needed to bring out clearly the connecting points or the running thread between his Tantric philosophy and his Aesthetic philosophy. The present work endeavours to discuss Abhinavagupta's Aesthetic theories philosophically and critically. 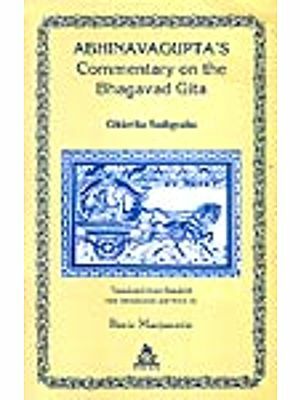 Abhinavagupta's Aesthetic Philosophy is so convincing and logically grounded that it is found difficult to raise some critical points. But it is found, and it is true, that he has propounded his Aesthetic philosophy on the ground of absolute idealism, therefore if is quite natural for him to ignore or underestemate the utility and value of the Realistic theories. To throw flood of light on such issues, along with expounding his theories, is the objective of this present work. I am indebted to my teachers sitting under whose feet I learnt the alphabets of the Tantric philosophy and, to some extent, got insight in peeping in it. I do not find words to express my gratitudes to them. May Lord Siva grant them long, healthy and happy life.